This salad is perfect as the weather warms up. Serve with grilled chicken or fish as lunch or an entree, or divide into smaller bowls and enjoy before dinner. Put the spinach in a large bowl. 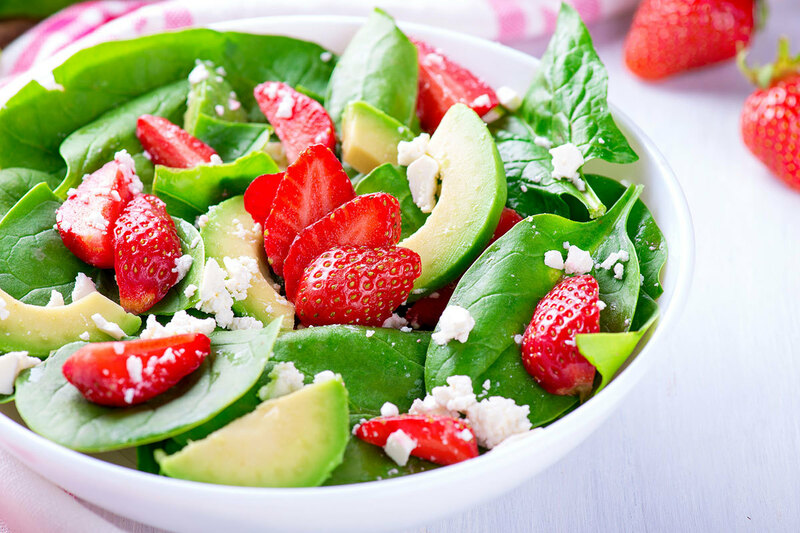 Add the strawberries, avocado and feta cheese. Toss gently. In a small jar, combine olive oil, lemon juice, honey, poppy seeds, salt and pepper. Shake until mixed well. Pour dressing over the salad and toss to coat; serve.